SpeakUp is easy to complete and allows you to share incidents or concerns privately with the school leadership teams. Don’t worry, no record of your submissions are kept or visible in this interface. Access – SpeakUp is available via the icon on navigation sidebar in LiveZone. Submission form – complete all fields and select from the drop-down menu for ‘Risk type’ and ‘Where did this occur’. NOTE: ‘Incident Date’ is auto populated to the current date for ease or choose another date when you click in the field. Other – when selected for ‘Risk type’ and ‘Where did this occur’, another field is available to complete the details to provide specific risk or location. Incident detail – this field requires information in your own words, and there is a tick box option to indicate further evidence available upon request. Submit – All fields must be completed and if not, the form cannot be submitted. “Some required information is missing!” message is displayed to show that one or more fields are not complete. Risk type: drop-down list contains these options. Where did this occur: drop-down list contains these options. 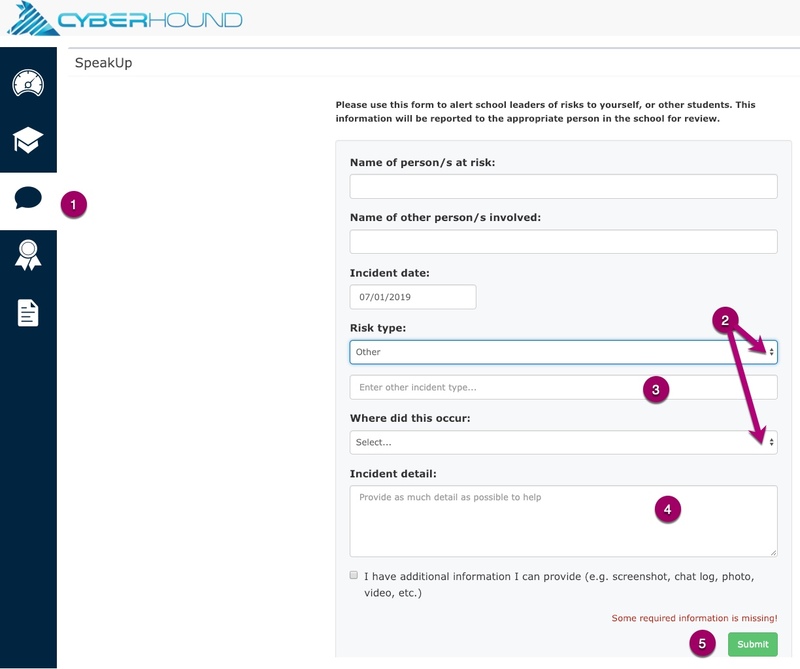 When leaving the SpeakUp page without completing the form and/or click ‘Submit’, a pop-up message will display. When the form is completed and ‘Submit’ is clicked, a message to confirm that the details have been reported is displayed. This is a one-time only message. Next time you come back to the SpeakUp page, the submission form is ready to complete again.